Another day, another Shondaland pilot bought by ABC. 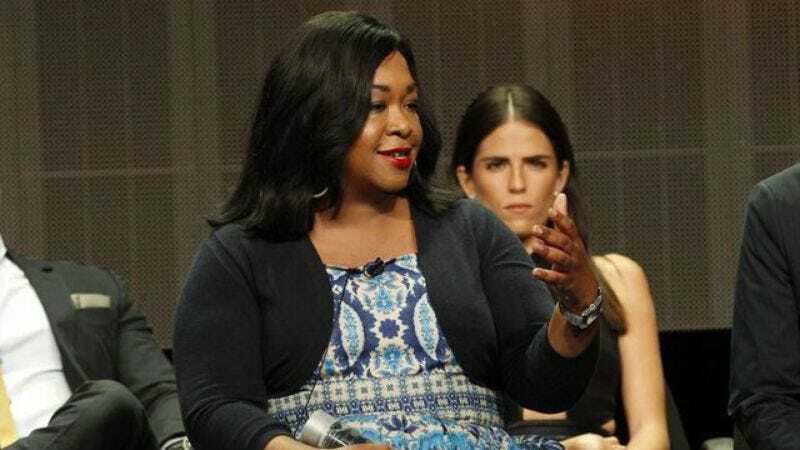 As part of Shondaland’s overall deal with ABC Studios, Shonda Rhimes and Betsy Beers recently sold a comedy project, Splitsville, to the network that might as well change its name to The Shonda Rhimes Network. Splitsville comes from Emily Halpern and Sarah Haskins, creators of the late, great Trophy Wife, and much like their canceled-too-soon sitcom, Splitsville deals with the aftermath of divorce. After a wave of divorces plagues a neighborhood, the single parents all join forces to raise their kids together and move on as one big happy suburban family. Halpern and Haskins, who also have an overall deal with ABC Studios, will executive produce alongside Rhimes and Beers. This marks Halpern’s return to the Shondaland fold; one of her early television writing jobs was on Rhimes’s Grey’s Anatomy spinoff Private Practice. The project also marks a critical expansion for the Shondaland empire, which consists of mostly dramas. This past television season, Rhimes took over an entire night of ABC’s programming with her TGIT lineup of Grey’s Anatomy, Scandal, and How To Get Away With Murder. This fall, TGIT adds new series The Catch to the block, and Splitsville is a part of Shondaland’s efforts to get in the comedy game. The production studio also has a half-hour ABC comedy written by Felicity alums Scott Foley and Greg Grunberg that was rolled from last season.